My Etsy shop does a reasonable amount of business each year. 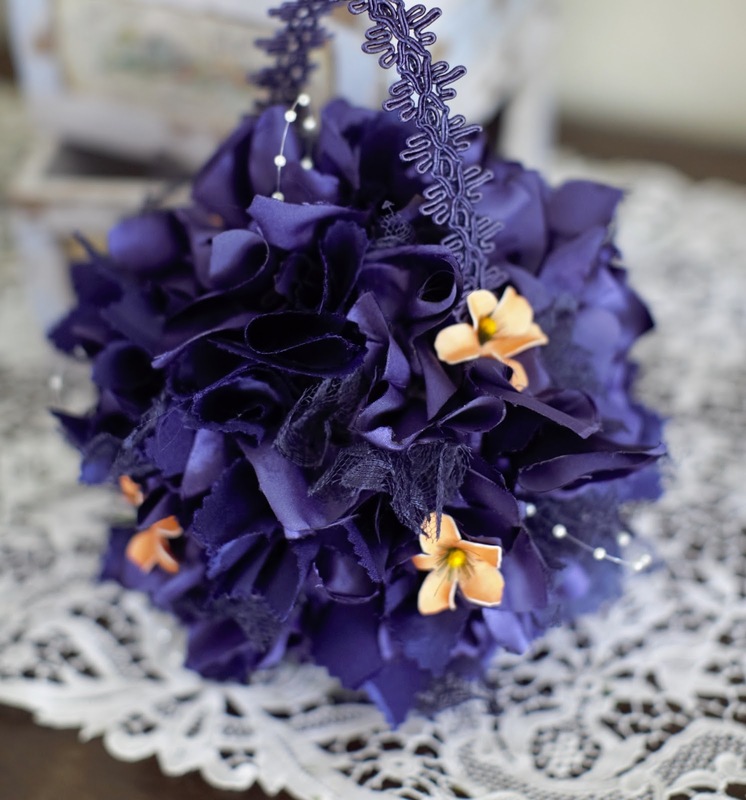 In addition to veils and garters, I also have a variety of flower girl baskets, and ringbearer pillows available. What's fun for me is when the customer wants to customize their order. These are just a couple of the items that I've worked on over the last few weeks. 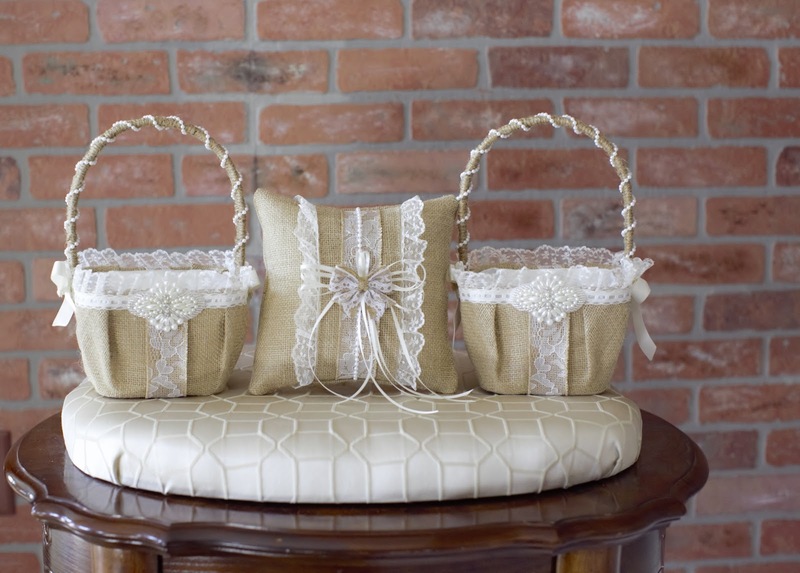 I offer the burlap and lace flower girl baskets you see above on my site, but this particular bride needed two baskets along with a ringbearer pillow. I currently have a burlap and lace pillow that would work, but she was looking for a better match to the baskets. 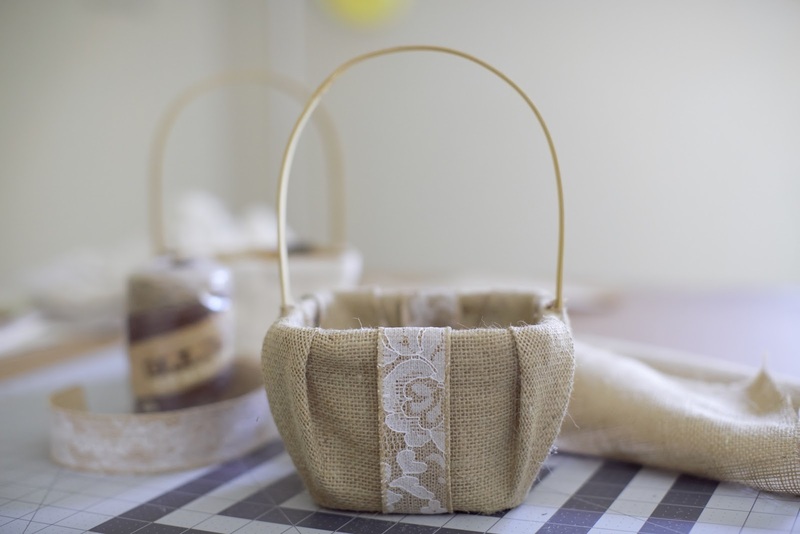 So, I made the one pictured above incorporating many of the design elements from the baskets for a more consistent look. I decided to make the pillow in burlap, but because of the loose weave of burlap, I used an underlayer of muslin. 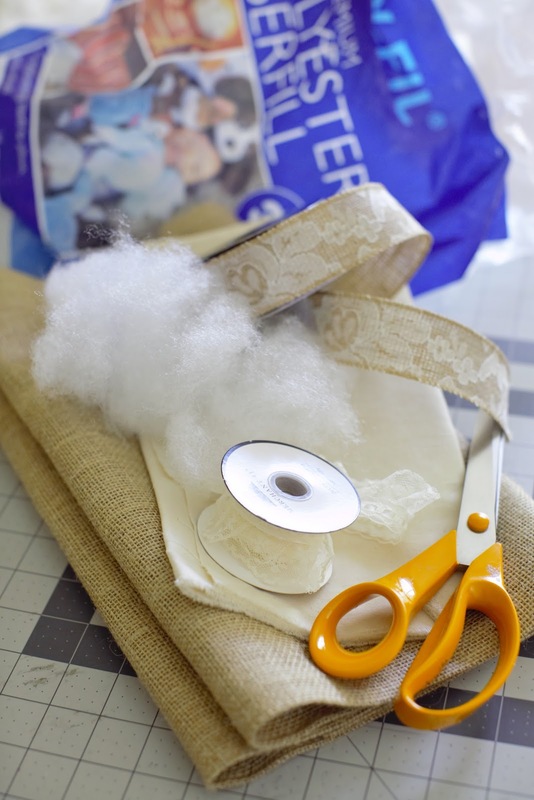 That helped ensure the filling wouldn't be seen through the burlap and also provided some stability to the pillow. 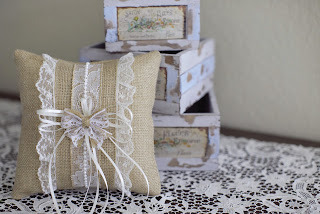 You'll see I chose to tie the pieces together by also using the burlap and lace trim, pearls and ruffled lace trim. I think the "trio" looks great together and totally compliment one another. In fact, I've decided to include this pillow on my Etsy shop since I liked the finished product so much! 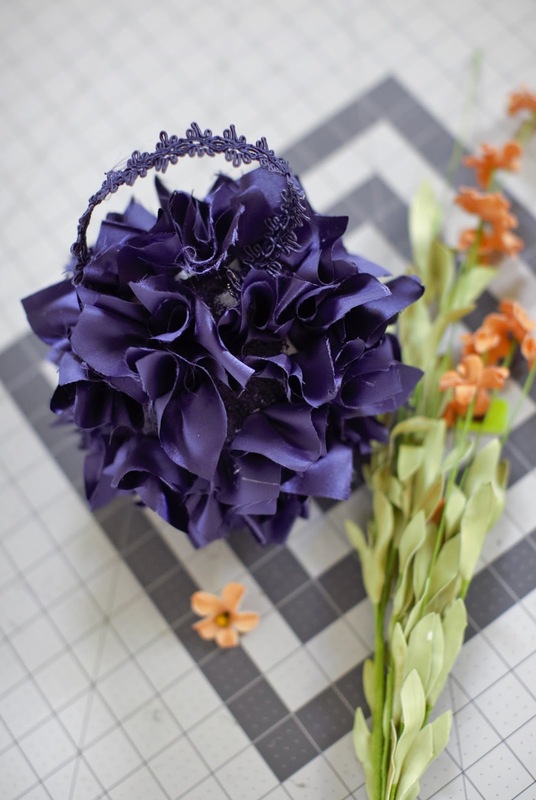 I also had a request for a custom pomander ball using the color palette from the wedding, which is navy and coral. A pomander ball or kissing ball is a great option for flower girls, in this case a 2ish flower girl who isn't likely to sprinkle petals. It starts with a styrofoam ball. I chose to use three different navy blue fabrics for varied textures and color variations; 2 satins and 1 chantilly lace. The coral accents were achieved through silk flower petals. If you look closely you'll see I also added some pearl sprigs. The "handle" is made with a soutache trim I found in the upholstery section of Hobby Lobby.